With the application of blockchain growing beyond cryptocurrency, there is an upsurge in blockchain-related jobs. Enterprises are swiftly capitalizing on the technology, given the enormous scope of application in banking and finance. According to a report from Indeed, the global market for blockchain related products and services is expected to reach $7.7 billion in 2022. In 2019, Bangalore will be the hub for crypto and blockchain-related careers followed by Pune, Hyderabad, and Noida as per Indeed’s Blockchain Jobs report. Another key growth driver is the Indian Government’s proactive approach towards implementing blockchain technology in key processes has also created a demand for blockchain developers. In 2017, NITI Aayog announced IndiaChain, India’s own blockchain network, which will be linked to IndiaStack — the developers’ code for the Aadhaar project. This is aimed at reducing fraud and increasing transparency of business transactions and at the same time. As the demand for talent grows, there is a need to further blockchain education in India and train the next generation of blockchain developers and entrepreneurs. With blockchain being billed as the next wave of technological innovation, IT professionals are gravitating towards newer roles to rise up the career ladder and increase their marketability. Startup enthusiasts who want to develop new blockchain based solutions are also interested in gaining relevant skills in this field. Some of the top Blockchain hiring companies are IBM, Oracle, Google and consulting firms like KPMG and Accenture in India. Leading enterprises are keen to explore the potential applications of blockchain and distributed ledger technologies especially in the areas of supply chain, contracts and more. Given the current demand for blockchain talent, with Bangalore being the top blockchain hub with 34% of all cryptocurrency job posted here, it is the right time to upskill and gain blockchain development skills. Realizing the growing need for talent, Ronnie Screwvala co-founded upGrad in collaboration with IIIT-B launched an 11-month PG Diploma in Blockchain Development that allows professionals and students to get build the required skill-set and develop smart contracts from scratch. The 11-month program is divided into 9 modules covering the entire lifecycle of blockchain development from software development to the fundamentals of backend development & agile engineering, fundamentals of frontend development, blockchain and smart contracts, hyperledger and the fundamentals of ethereum and smart contracts and culminates with a Capstone project. Learn from IIIT-B Faculty & Industry’s Leading Mentors: upGrad with its collaboration with IIIT-B provides in-depth, academically rigorous university-grade curriculum to students delivered by IIIT-B’s world-class faculty. Another key advantage is upGrad’s strong placement network and its alumni network, allowing learners to upskill and advance to a higher pay scale effectively. IIIT-B faculty is led by Professor TK Srikanth, Computing and Professor KV Dinesha who come with decades of experience in teaching, research and also consultancy. Moreover, the program also gives students access to industry’s leading mentors from IBM and ICICI Bank, who’ll give personalized feedback on submissions and project improvement. Online with Offline Basecamp: Over the last few years, upGrad basecamps have become a key part of learning that allows for peer-to-peer learnings, idea exchange and networking opportunities for learners across the cohorts. 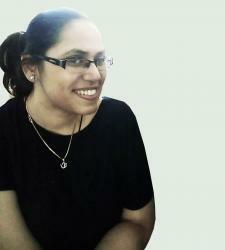 Learners also benefit from career building and networking sessions and also get a chance to work in groups on projects. Tool-based comprehensive program: From covering the fundamentals of Hyperledger, hyperledger functions to the fundamentals of ethereum and smart contract, the 11-month course covers the most in-demand, industry-relevant tools such as Hyperledger Composer, YAML. After finishing the course, students will learn how to build the Hyperledger fabric network, create smart contracts and develop applications using Composer Playground. At the end of the program, students will get a chance to gain hands-on experience by working on a Capstone project. Some of the industry projects will be from BankChain, DCB Bank, and squadX. upGrad action workshop: The upGrad action workshop conducted by Elemential and Cateina Technologies will allow students to learn how startups are building blockchain solutions, understand the challenges in blockchain technologies and gain hands-on experience of building solutions through assignments and case studies. 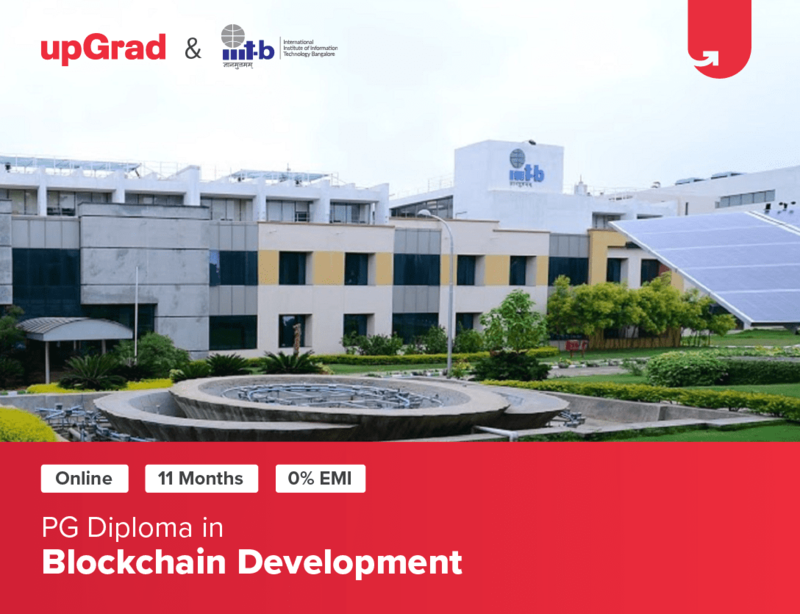 Industry relevance: At a time when blockchain development skills are in huge demand, upGrad and IIIT B have partnered with leading industry experts to deliver the most updated and industry relevant curriculum to learners. What’s more: For those with no coding experience, there is a built-in 3 weeks pre-course which gives the learners a foundation for an intensive learning experience of the program.